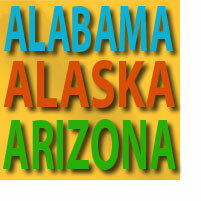 Alabama, Alaska, and Arizona don’t just start with “A,” they’ve earned one for their pro-life efforts! When it comes to victories for the unborn, it’s been a big month for states at the beginning of the alphabet, as leaders celebrate wins for women’s health and the inherent dignity of the unborn just in the last few weeks. In the Last Frontier, taxpayers come first, thanks to Alaska Governor Sean Parnell (R) who just inked his name to a bill that helps wall off government money from the abortion business. By signing SB 49 into law, he and the legislature drew clear lines around what constitutes a “medically necessary” abortion. Too often, clinics try to find loopholes around state laws by claiming an abortion was necessary to protect the mother’s health — when in reality, only a small fraction of those patients (some estimate 4%) need the abortion for legitimate medical reasons. Under Alaska’s new law, only mothers who have physical reasons for aborting will receive Medicaid (read: taxpayer-funded) coverage for the procedure, which should drastically cut down on the system’s abuse. Over in Arizona, Governor Jan Brewer (R), who’s made more headlines for the bills she hasn’t signed, did the right thing on the state’s “surprise inspection” measure that would do away with the rule that health officials need a warrant before visiting an abortion clinic unannounced. In passing the bill, Arizona becomes the 10th state to allow for spot inspections of clinics that, in most places, are less regulated than tanning salons. Last but certainly not least, pro-lifers got a huge boost from the state’s supreme court, where justices ruled 8-1 that babies in the womb deserve legal protection. In an interesting twist, the case involved a mom who used illegal drugs while she was pregnant. When she tested positive for drugs after giving birth, she was found guilty of Alabama’s chemical endangerment statute. Despite a court challenge, the justices upheld her conviction in a ruling written by “Ten Commandments” Chief Justice Roy Moore, who insisted that these children have the same inalienable rights that our forefathers outlined in the Declaration of Independence. “[T]he plain meaning of the word ‘child,’ as that word is used in the chemical-endangerment statute, includes an unborn child,” they insist. “As the gift of God, this right to life is not subject to violation by another’s unilateral choice,” Moore makes clear .